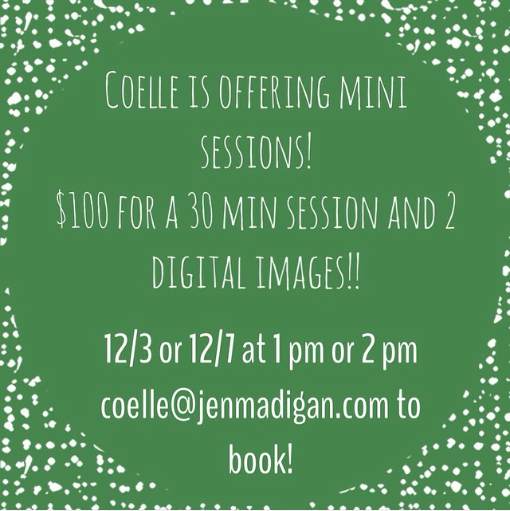 Coelle is offering mini sessions! A 30 minute session, and 2 digital images for you to use for your holiday cards for $100. Contact her at coelle@jenmadigan.com to book -- limited availability!